Fresh, ripe peaches are a sweet, summertime treat! Juicy peaches and cream, fresh smoothies, peach salsa, peach preserves….while the list could go on – one favorite peach classic is – cobbler! Cinnamon and vanilla are classic flavor enhancements or try a twist like ginger or cardamom for an exciting new spice! Follow the links below to try your hand at baking your own sweet summertime peach cobbler! Service with vanilla ice cream, or make your own Creme Anglaise sauce. A creme anglaise sauce is a simple vanilla and cream custard – a perfect compliment to a warm peach cobbler. 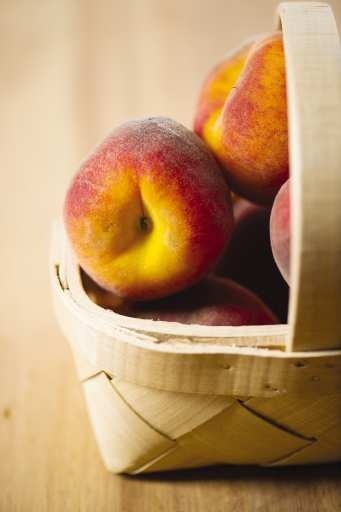 Have a favorite peach recipe? Share the recipe or link in the comments below!